Everyone keeps his mobile very close to their heart. 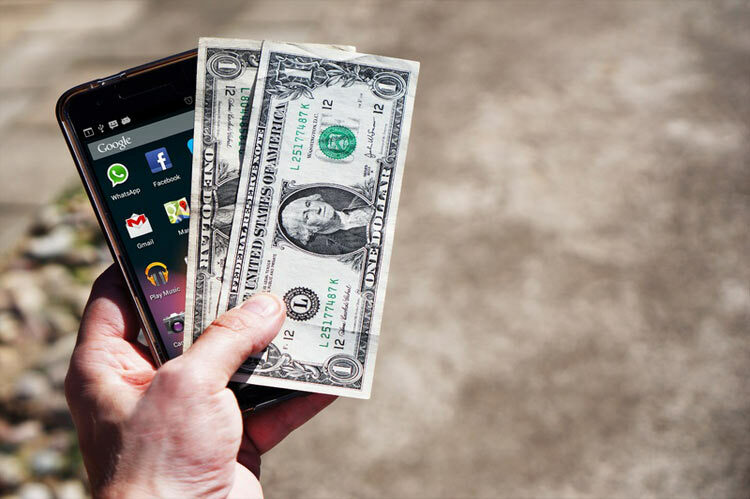 Today we are going to show you the list of most expensive mobiles ever introduced in the market. We will produce this list in the ascending order so keep reading while you reach the most expensive mobiles. 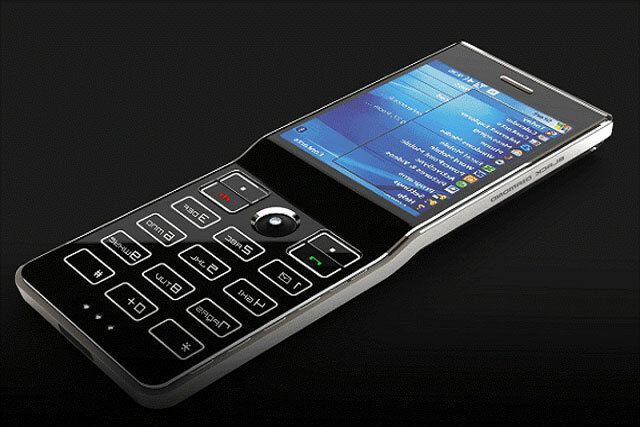 This phone is also manufactured by Stuart Hughes, is company which produce most expensive and luxurious gadgets. 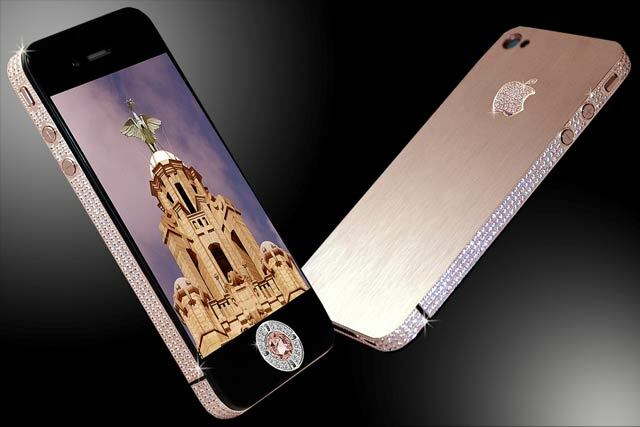 This beautiful phone is manufactured with 500 most intact and flawless diamonds. The rare of the phone is also rose gold with the logo of Apple. This back is also carved with 53 additional diamonds. This impressive phone is held by pink imperial granite which is robed in Nubuck leather. It is said that only two such phones have been created to ensure its exclusivity. This phone is said to be the second most expensive phone in this world. 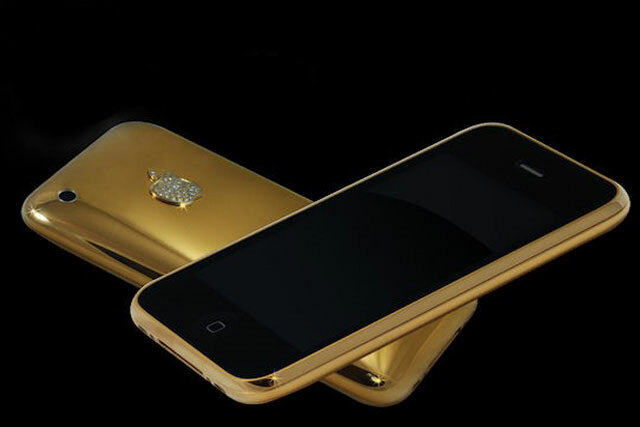 This phone has many gold striking features, is designed by Stuart Hughes. This phone was made created at the request of an Australian businessman living in the Liverpool. 136 diamonds and 22000 gold carats have been used in its manufacturing. 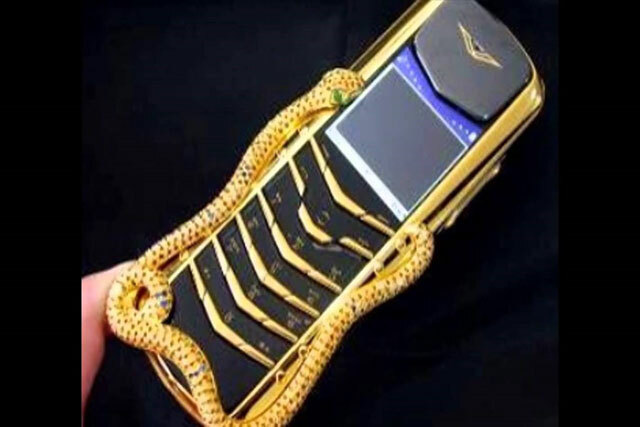 This most luxurious phone is made up of 6.6 diamond carats of very fine quality. Eighteen gold carats are also been used in its production. Gold carats contains yellow gold, rose gold and white gold. This phone is also been designed by a famous Australian Jeweler merchant, Peter Aloisson. 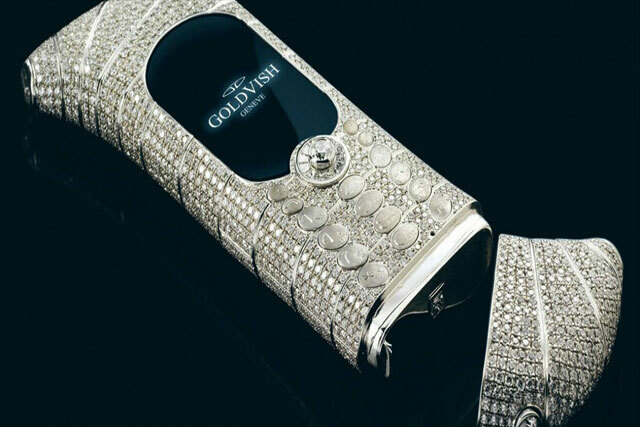 GoldVish is a Switzerland based company which is manufacturing most luxurious mobiles and accessories. This phone contains eighteen carats of gold in it. One hundred and twenty VVS-1 grade diamonds have also been used in it. This phone once held the record of being most expensive in the world. This phone has very powerful encryption technology installed in it. It is decorated by very precious stones and metals. It is said that most of the work is done with platinum. Eighteen carats of rose gold is also being used in it. Navigation key is clocked by twenty eight diamond-cuts. 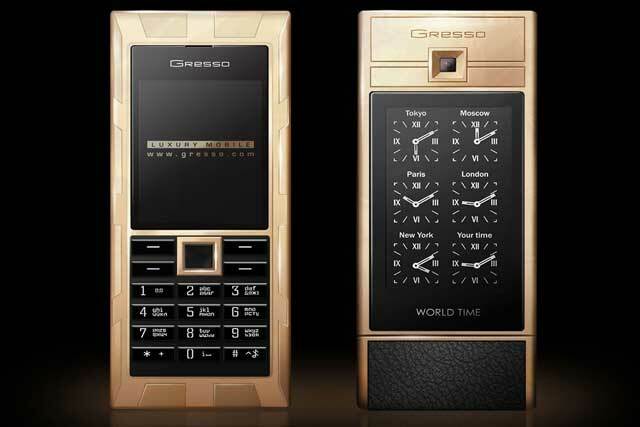 Gresso is an international brand which is manufacturing luxurious mobiles and gadgets. This phone has two hundred-year-old black-wood on its back. 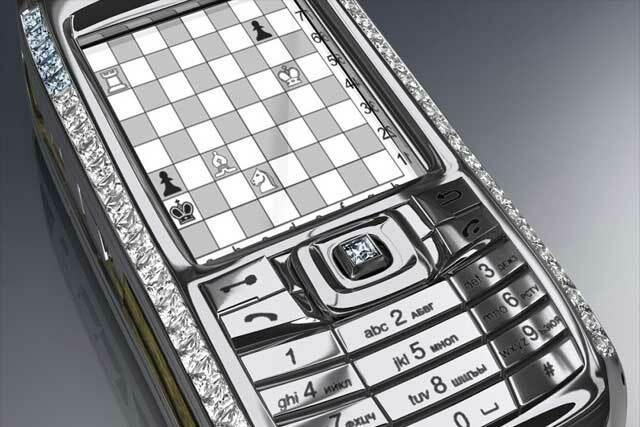 While this phone is robed by 180 grams of the diamond. Its keyboard has seventeen types of hand polishes in it. The keyboard is graven with sapphires which make it priceless. Cobra has clocked this phone on its sides. Cobra contains 409 rubies and two jewels as its eyes. This is very thin mobile which have a borderless appearance. It is said that two diamonds have been installed in it. Three-carat gold has been used on the back-side while 0.25 carat is being used on the joystick. iPhone Princess Plus was designed by Mr. Peter Aloisson a few years back. 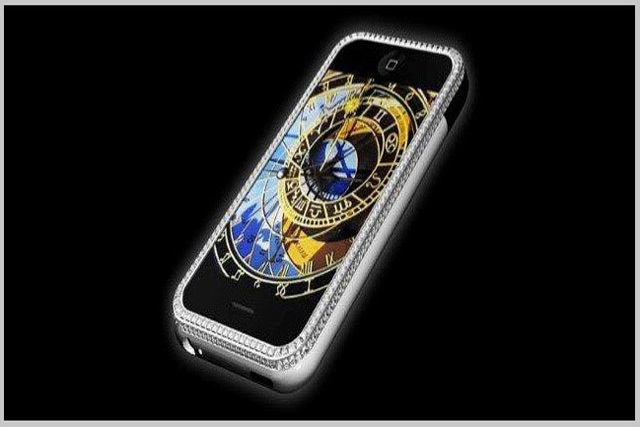 This phone wields three hundred and thirty-eight diamonds out which one hundred and thirty-eight are princess cut diamonds. It is said that this phone is truly designed for the princess. 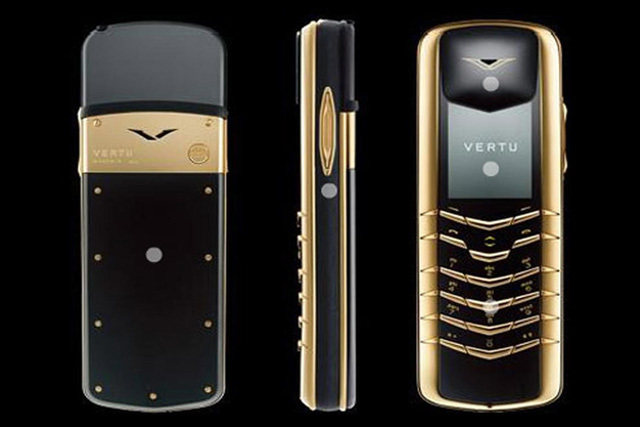 Vertu is a British manufacture company of luxurious mobiles. Nokia established it in 1998. Nokia kept selling these mobiles to a private group which is EQT VI since 2012. It is said that the Vertu Signature Diamond have twenty-five types of screws in every signature. These screws are so small that only three human hair could be fit in them. According to reports, this phone can be run on forty different operating systems. It has 4GB internal memory.